Misty Mountains - Yankee Candle Ci sono 4 prodotti. Baby Misty Mountains, Giara Grande - Yankee Candle. Misty Mountains, Giara Media - Yankee Candle. Misty Mountains, Giara Piccola - Yankee Candle. 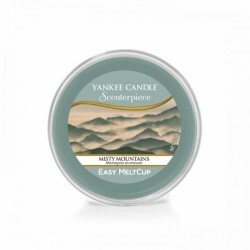 Misty Mountains, Ricarica MeltCup per profumatore elettrico Scenterpiece - Yankee Candle.